Out of fear that companies such as Uber pose an “age-old threat” to the rights of workers, UK shadow chancellor John McDonnell suggests that a network of banks should be funding companies to compete with Airbnb and Uber and stop what he calls the “Uberisation” of the workplace (otherwise known as the “gig economy”. McDonnell suggests that a Labour government embrace changes in technology and employment but use them to find ways to make the workplace more beneficial (and flexible but without penalties) for all. Learn more: John McDonnell: We must stop ‘Uberisation’ of the workplace. The legal industry is joining the work flexibility movement, with virtual law offices gaining popularity across the U.S. Virtual law offices, as well as hybrid law offices (those with a brick and mortar office with staff located nationwide), allow attorneys to represent clients across the country without having to cross one or more state lines to do so. Of course, this new model doesn’t come without its set of unique challenges. Read more about the pros and cons of virtual law practices: Virtual Law Offices Offer Flexibility, Ability to Draw Talent. Facebook has made headlines by extending its family bereavement policy to 20 days off. Although the Fair Labor Standards Act doesn’t require employers to offer paid bereavement leave, according to the Bureau of Labor Statistics, 60 to 70 percent of workers do get paid leave after experiencing a death in the family—but typically just three paid days for immediate family members and one for other relatives. Learn more about Facebook’s decision and the benfits for both employees and employers: Why More Firms Should Adopt the Facebook Bereavement Policy. Between Twitter’s on-site acupuncture clinic and Google’s professionally made lunches, companies are making it hard to compete in the benefits world. According to a 2015 Employment Confidence Study by Glassdoor, nearly 60 percent of participants reported that perks and benefits are a major factor in choosing a job, while 80 percent would choose more benefits over a raise. But how do companies without Google-sized benefit allowances stay competitive? A new study by Fracti surveyed 2,000 U.S. workers and found that the top three desired benefits were simple: medical benefits, flex time, and more vacation time. And a study by FlexJobs found that for parents, flexibility is number one. 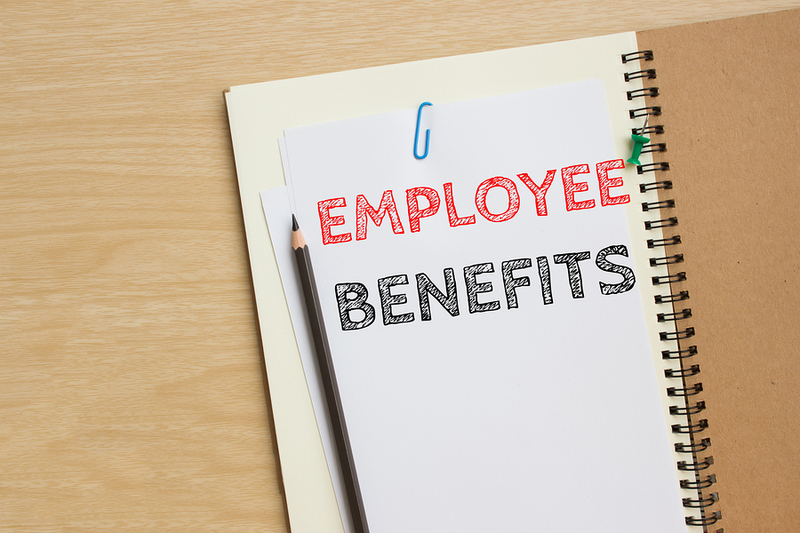 Read more: The Most Desirable Employee Benefits. Global technology leader IBM has made a drastic change to its workplace policies this month, one that closely resembles Marissa Mayer’s decision to ban telecommuting at Yahoo! back in 2013. IBM’s chief marketing office Michelle Peluso made a video announcement that employees must move into one of the company’s main six offices or face losing their job. Many professionals come to IBM specifically for its telecommuting program, leaving many to wonder if this is a strategic move to save the company or a desperate one. Read more: IBM’s Marissa Mayer Moment? Staff Told to Work in 1 of 6 Main Offices or Else. Companies in America are prioritizing contract workers over full-time employees to a greater extent than ever before, and the trend looks here to stay. Rough estimates suggest that as many as 20 million people are working as contractors. This type of flexibility may seem great for employers in the short term, but what does it mean for long term productivity? And what does it mean for workers? Read more: The End of Employees.